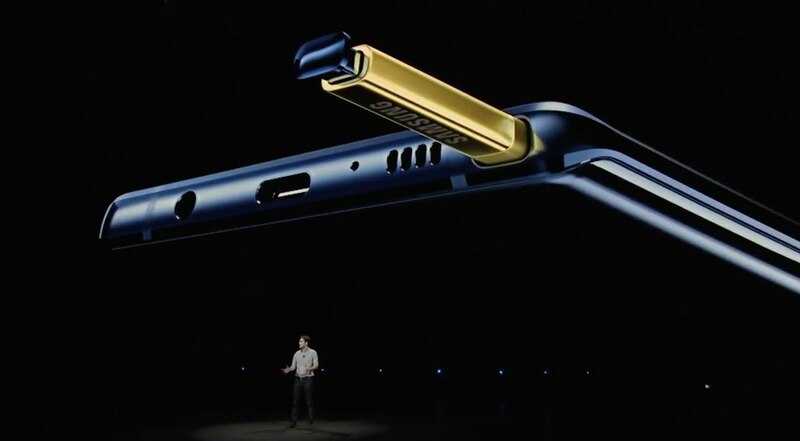 Samsung Galaxy Note 9 was presented in New York and is the new top-of-the-range Samsung home. Equipped with substantial improvements that start from the hardware up to the software compartment, the Galaxy Note 9 manages to amaze again thanks to the use of the S Pen. The latter in fact receives a substantial upgrade that enhances its usefulness. So we just have to find out all the news on this new Galaxy Note 9. Although the market is invaded by devices with the notch, the Samsung Galaxy Note 9goes against the current presenting itself with a display without it from 6.4 “Quad HD Super AMOLED with a resolution equal to 2960 × 1440 pixels (516ppi). The latter is currently the largest display ever mounted on the Note line. Compared to the Samsung Galaxy Note 8, the design has remained almost unchanged, we find in fact a less curved glass on the front and the fingerprint sensor moved below the photographic compartment. The dimensions of this terminal are equal to 161.9 × 76.4 × 8.8 mm, but given the use of materials such as glass and aluminum throughout the body, the weight reaches the important value of 201 grams. The S Pen, also revisited, measures 5.7 x 4.35 x 106.37 mm with a weight equal to 3.1 grams. Both the Samsung Galaxy Note 9 and the new BLE S Pen enjoy IP68 certification. The multimedia sector becomes a double camera with dual optical stabilization. The first camera is a 12MP “Super Speed ​​Dual Pixel” wide-angle camera with Autofocus and f / 1.5 af / 2.4 focal distance. The second is a 12MP telephoto lens with Autofocus and focal f / 2.4. The optical zoom is 2X and rises to 10X in digital mode. The front camera is equipped with an 8MP sensor with Autofocus and focal f / 1.7. Photographic quality is also increased thanks to the use of artificial intelligence for scene recognition. For example, the smartphone is able to recognize when the photographed subject has his eyes closed, or when we are photographing food or flowers, calibrating the colors in the best possible way. There is also the Dolby Atmos sound technology provided by the stereo speakers by AKG able to give a three-dimensional sound to enjoy video and games in the most immersive of ways. 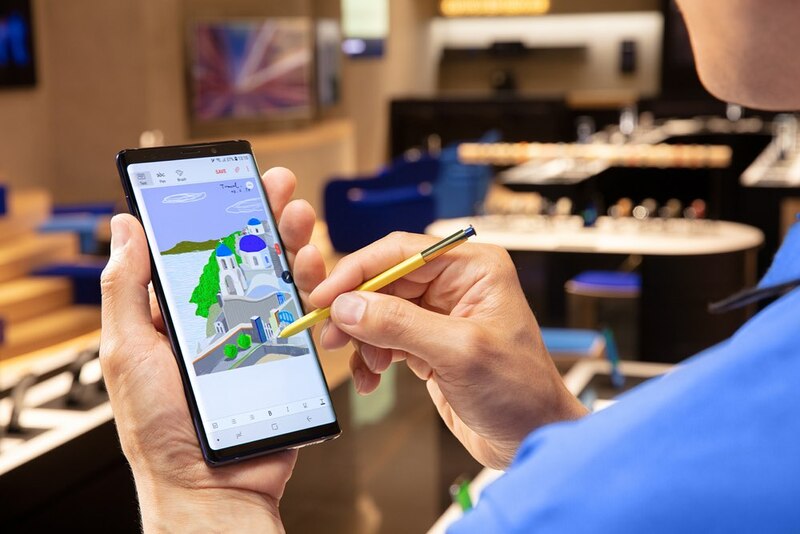 Having been a year since the launch of the Note 8, we find the new Exynos 9810 SoC Octa-core operating at 2.7GHz 1.7GHz, with GPU Arm Mali G72 MP18. The SoC is accompanied by 6 or 8 GB of LPDDR4 RAM depending on the version chosen, which also differs for storage equal to 128GB or 512GB UFS 2.1 respectively. The memory is also expandable for other 512GB through the use of MicroSD. The connectivity part is entrusted to a 4 × 4 MIMO LTE Cat.18 telephone module. Then we find a WiFi module 802.11 ac MU-MIMO, and Bluetooth module 5.0 LE, USB Type C, NFC, MST and GPS (GPS, Galileo, Glonass, BeiDou). Also in this case the iris reader, the facial recognition and the fingerprint reader are not missing. The autonomy is guaranteed by a 4000 mAh battery with fast charging compatibility both with the cable and wireless WPC and PMA. Software side on Samsung Galaxy Note 9 we find installed Android 8.1 based on Samsung Experience 9 interface and improved Bixby personal assistant. Even Dex, the feature that allows you to transform the Galaxy Note 9 into a computer, is enhanced by the ability to connect the device via the Type C port without the need for specific dock. Calling it a pen is now reductive: the new BLE S Pen in fact takes this new nomenclature for the implementation of a Bluetooth Low Energy module that extends its functionality. In addition to taking notes and translating texts, the new S Pen is now able to function as a real bluetooth remote allowing us, for example, to take photographs, manage a presentation, or start and stop videos. The new BLE S Pen can be recharged simply by inserting it into the terminal and 40 seconds will be enough to give it 30 minutes of autonomy. The S Pen continues to operate even without autonomy as a pen capable of recognizing 4096 levels of pressure. Samsung Galaxy Note 9 is certainly one of the most complete and interesting devices currently on the market. 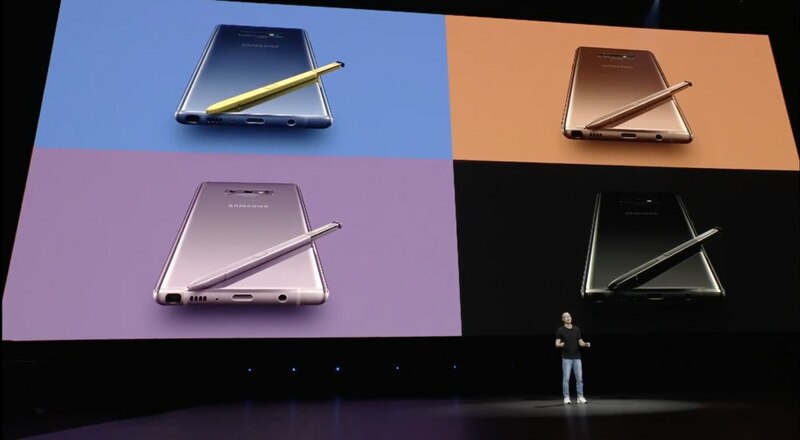 Unlike the rest of the Samsung range, however, the list price and the street price do not undergo major changes over time, leading this device to exceed the threshold of one thousand euro. 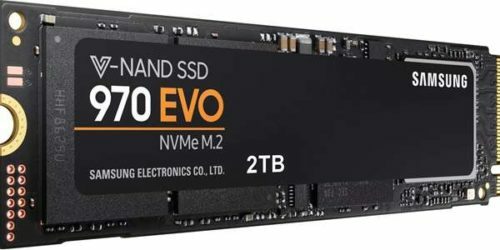 For the 6 / 128GB version 1029 euros are required, which go up to 1279 euros for the 8 / 512GB version. Both models are available in Ocean Blue, Midnight Black and Lavender Purple colors. The device can be pre-ordered from Samsung.com from today until August 23rd, or purchased in installments with the Samsung Rent formula that requires an advance of 99 euros and 24 installments of 44.90 euros (for the 512 GB version ) and € 35.90 (for the 128 GB version). It will be officially available in Italy starting from 24 August.